Just as Chancellor Konrad Adenauer was seeking re-election on a campaign of "no experiments," art avant-garde groups in West Germany were reviving the utopian impulse to unite art and society. 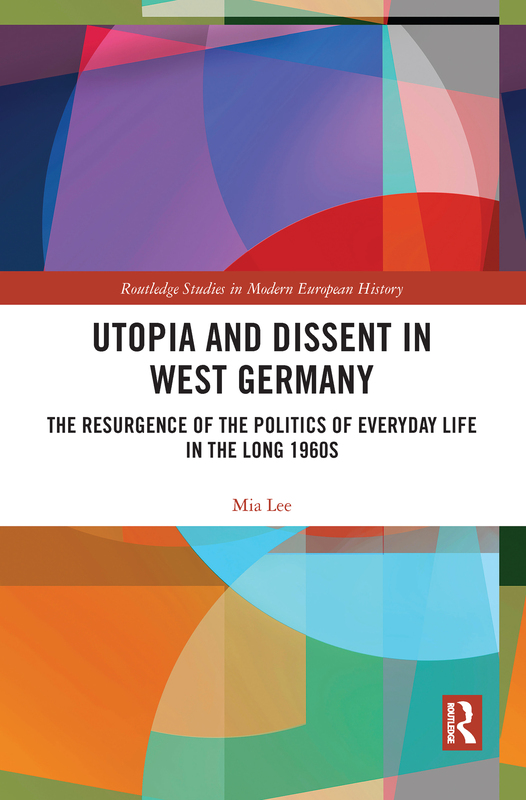 Utopia and Dissent in West Germany examines these groups and their legacy. Postwar artists built international as well as intergenerational networks such as Fluxus, which was active in Düsseldorf, Wiesbaden, and Cologne, and the Situationist International based in Paris. These groups were committed to undoing the compartmentalization of everyday life and the isolation of the artist in society. And as artists recast politics to address culture and everyday life, they helped forge a path for the West German extraparliamentary left. Utopia and Dissent in West Germany traces these connections and presents a chronological map of the networks that fed into the extraparliamentary left as well as a geographical map of increasing radicalism as the locus of action shifted to West Berlin. These two maps show that in West Germany artists and their interventions in the structures of everyday life were a key starting point for challenging the postwar order.